You may think that sewing a perfect curved collar neatly is going to make you want to cry and pull your hair out – but the good news is that it’s a lot easier than you think, especially if you use a few simple tricks! This is my process for sewing curved collars like the oversized peter pan collar of the Sudley sewing pattern and it works perfectly every time. My first trick starts at the pattern stage, before you even cut out that fabric! It’s hard to prevent the underside of your collar from peeking out where it’s visible, unless it’s smaller than the collar. The best way to make sure your undercollar stays in place, is to have a separate pattern piece. In my Sudley pattern i provide separate undercollar and collar pattern pieces which remove the need for you to do anything (yay!) but if you are using a pattern that includes a single collar pattern piece, the alteration is easy. 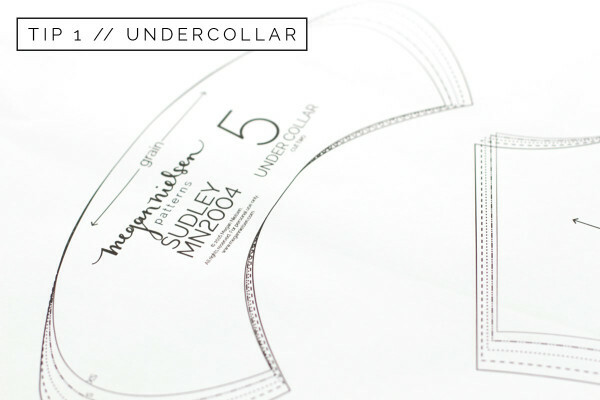 Trace a copy of your collar pattern piece, this will be your undercollar. Now trim away 2mm from the outer edges of the collar, all the way around. 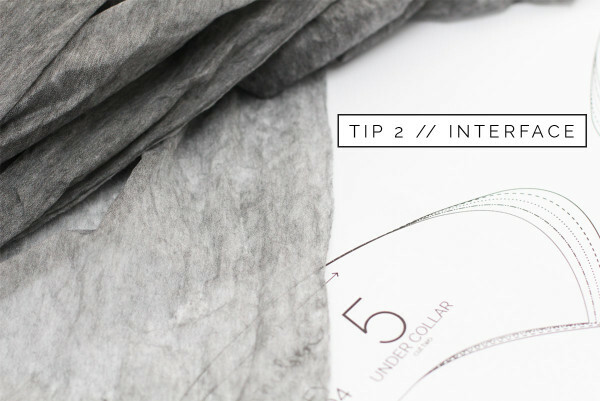 Make sure you don’t trim away at the the neckline seam, you only want to trim the outer edges. That’s it! Embrace interfacing my dears! Interfacing in the right areas will not only make your sewing go more smoothly, but it will also result in a neater cleaner finish. For collars, the general instructions are usually to interface the undercollar, but personally i like to interface the main collar piece. I feel like this helps create a crisper visible edge when pressing. Rule breaker, what can i say :) But whatever side of the collar you decide to interface, make sure that you DO interface. I promise it will make all the difference to the neatness and structure of the collar. The next step is careful pinning or basting. Sometimes i go a little overboard on the pinning, that’s fine, do as much as much as you need to in order to keep everything in place. Please don’t wing it, i guarantee if you skip pinning or basting your fabric will slip and won’t be neat and even by the end. 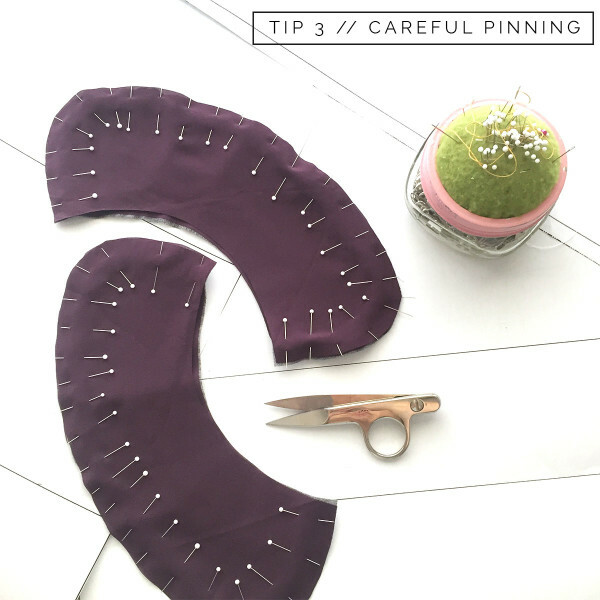 If you choose to pin, make sure you pull out the pins as you are sewing, don’t sew over them. 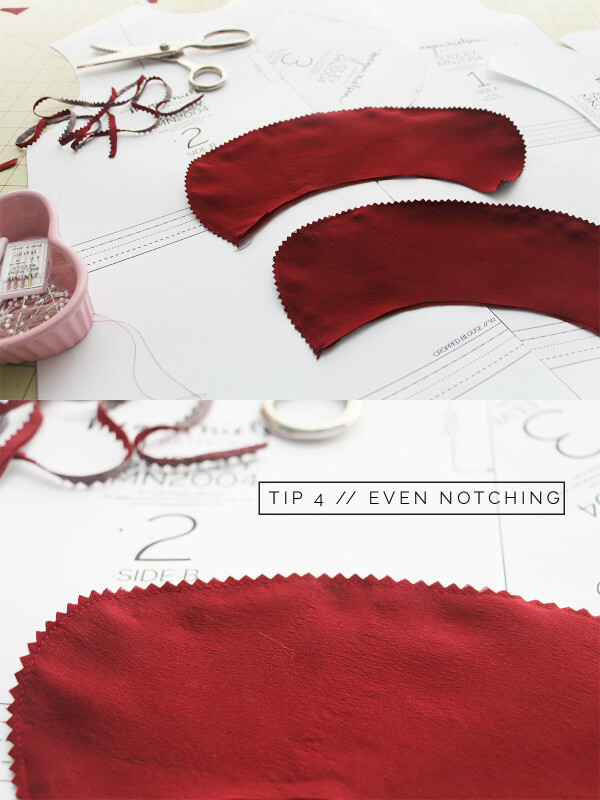 Sewing over pins especially on a collar can warp your stitches, and will make it much harder to sew neatly and evenly. Once you’re done stitching, make sure you notch your collar evenly. Take it seriously. If you notch too little on an extremely curved collar like Sudley, it will result in a jagged edge, rather than a smooth curve. Another option is to simply grade back the seam allowance (ie trim it back) till there is only about an 1/8th of an inch left. I have to admit, i really don’t like doing this. I’ve had times that i’ve gotten a little overzealous with my trimming, and ended up too close to the stitches, meaning that over time my collar frayed. Sad face. My absolutely favourite trick is to use pinking shears instead! 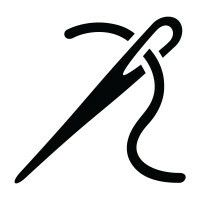 By trimming back the seams with pinking shears you get the best of both worlds, and it’s fast and easy. Ok now that you’re done, you need to press that baby well! You’ve heard me say it a million times because i’m a nut about pressing, but for goodness sake please don’t skip pressing! 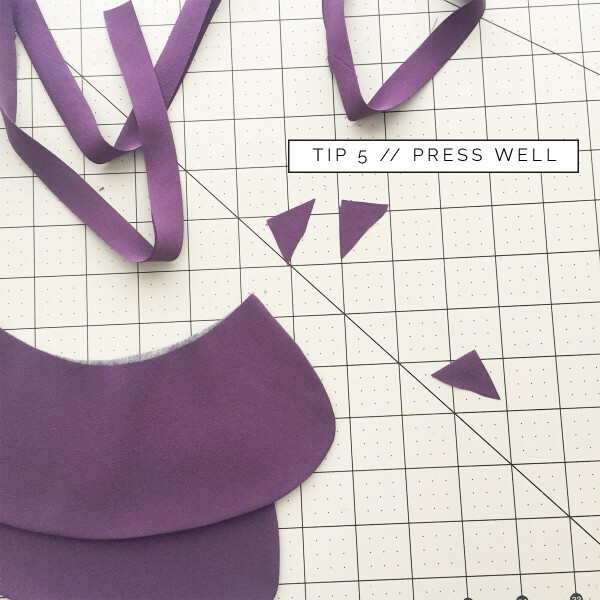 Your collar will not be super awesomely smooth without a good pressing. My trick is to turn the collar the right way round, carefully press the seams open and flat first, then reshape the collar with my hands, until the curve looks right and the undercollar is properly hidden. Then I finally press the entire collar to make sure that everything is smooth and crisp. As you go be careful that the main collar cloth is turning ever so slighty towards the undercollar and that no undercollar is peaking out. That’s it! Go forth and enjoy your perfectly rounded collar! Thank you for the article. My pinking sheers await.